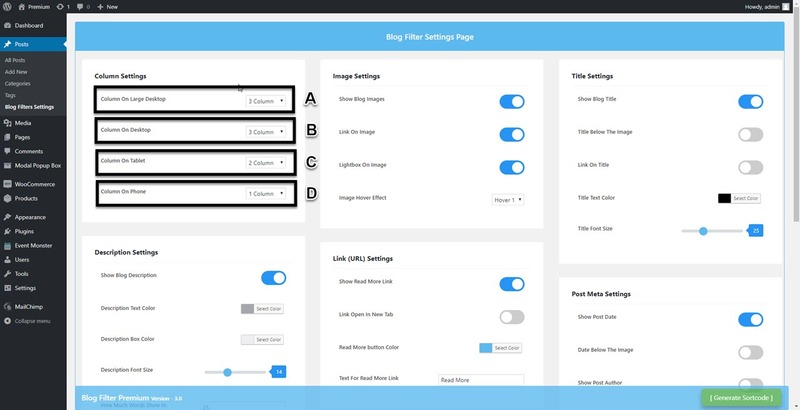 First, you download Blog Filter Premium plugin. If you are using the free version, then please deactivate it before install the premium version, and don’t worry you will not lose your plugin data. 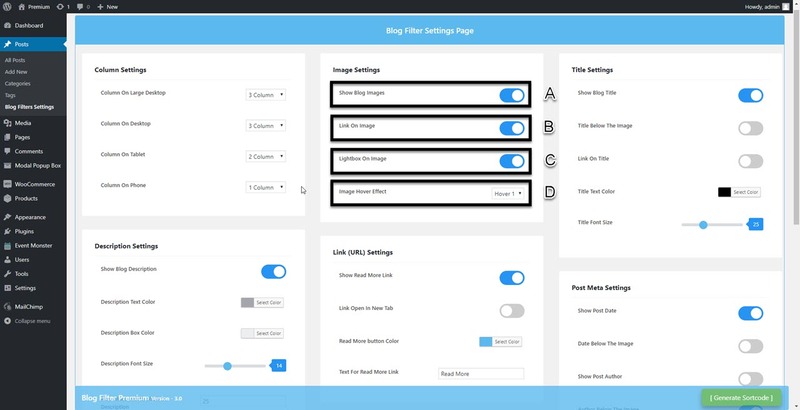 upload Blog Filter Premium zip file of the plugin by clicking the Browse button. after upload Blog Filter Premium, click on Install button. And activate the Blog Filter Premium plugin. Now you can see that Blog Filter Premium has added a sub-menu called Blog filter settings in the Post menu. To create a Blog Filter gallery / Post portfolio click on Blog Filter stings sub-menu from the admin menu bar. Click on the Generate Shortcode button. You will see the Generate Shortcode button right-hand side bottom of the page. 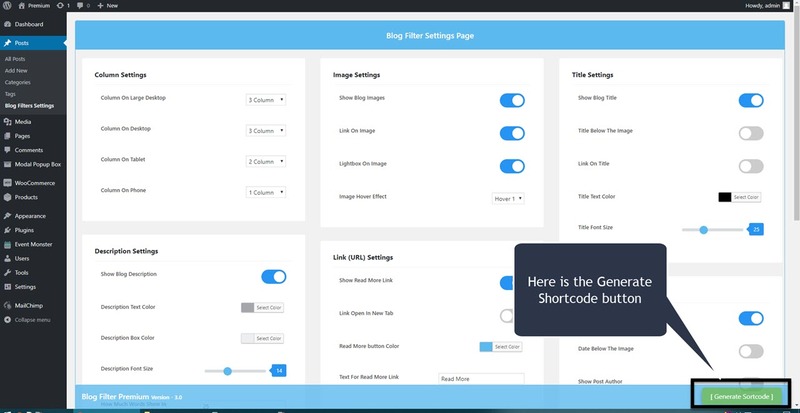 Now copy the shortcode by clicking the Copy shortcode button and Paste where you want to show the Blog Filter / Blog Grid / BlogFolio (portfolio of Posts) any Page or post. 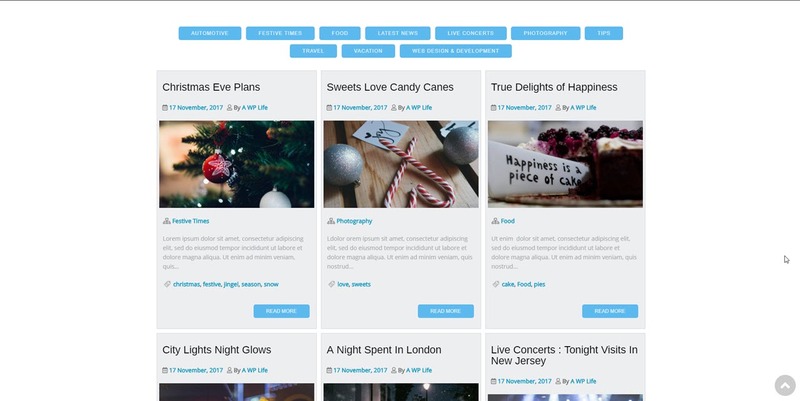 Select Columns to display Blogs in your Blog Filter gallery / Postfolio (Portfolio of Post). A. Select post Columns for large desktops. B. Select post Columns for desktops. 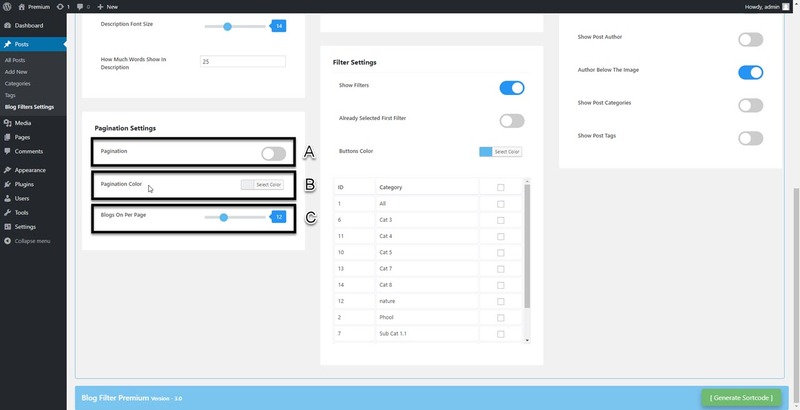 C. Select post Columns for tablets. D. Select post Columns for mobile phones. 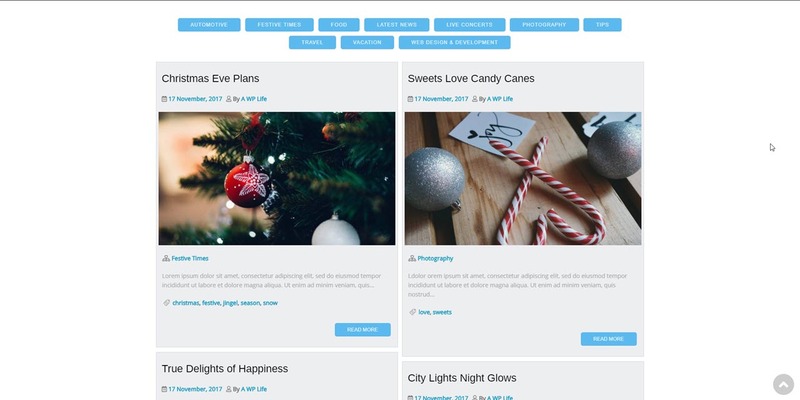 Set Image Settings to display in your Blog Filter gallery / Postfolio (Portfolio of Post). A. Set Show or Hide blog featured images on the posts. B. Set Link on Featured images of posts. C. Select Lightbox Yes or No for Featured images of posts. D. Select Hover effect from 5 hover effects for Featured images of posts. 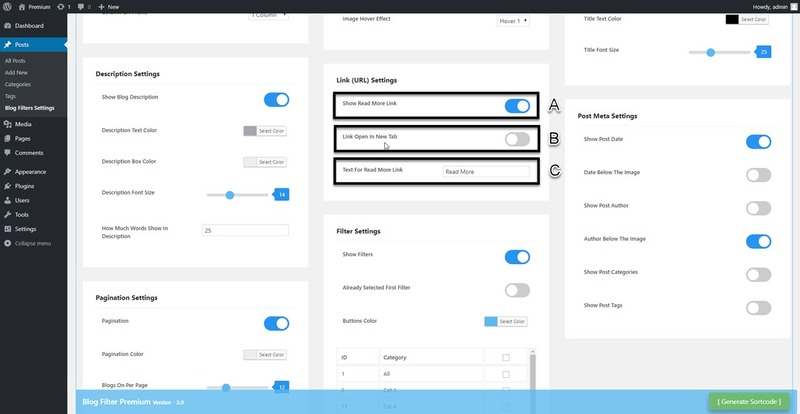 Set Title Settings to display in your Blog Filter gallery / Postfolio (Portfolio of Post). A. Set show or hide blog title. B. You can also set blog title blew the image. C. Set single post link on title. D. You can change title color. E. You can also change title font size. Set Description Settings to display in your Blog Filter gallery / Postfolio (Portfolio of Post). A. Set show or hide blog description. B. You can change description color. C. You can also change description box/background color. D. You can also change description font size. E. Set how many words you wanna show in the description. You can see that it will not show 100 words. if read more tag has set in the post, then it will not get more words. Set Link Settings to display in your Blog Filter gallery / Postfolio (Portfolio of Post). A. Set show or hide read more link button. B. Set open link URL in the new tab or same tab. C. Set text to read more button. 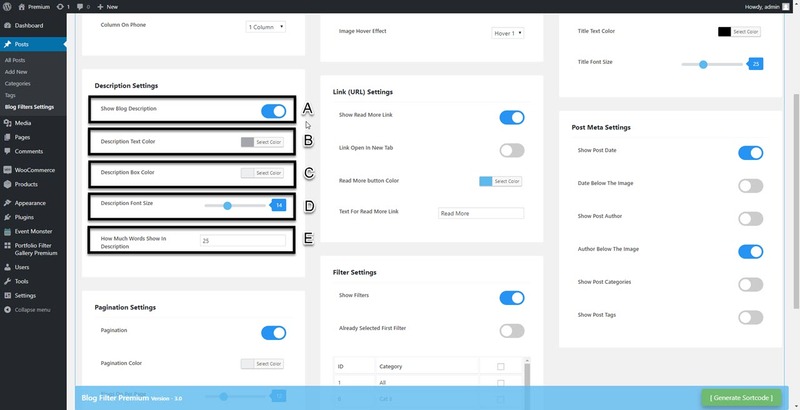 Set Post Meta Settings to display in your Blog Filter gallery / Postfolio (Portfolio of Post). A. Set show or hide post date. B. You can also set date below the image. C. Set show or hide post author. D. You can also set author above the image. 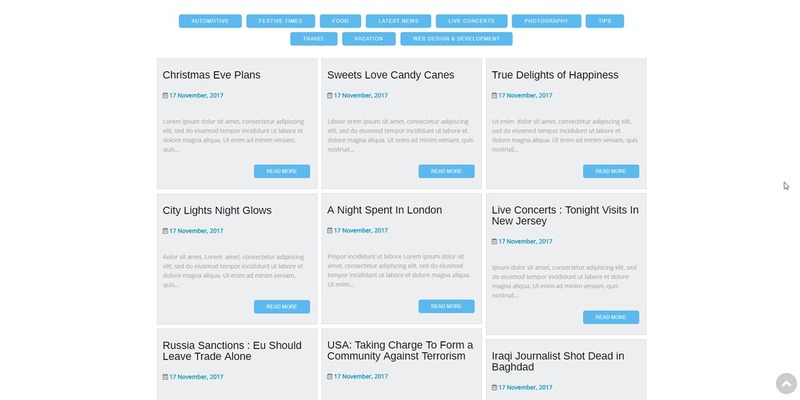 E. Set show or hide post categories. F. Set show or hide post tags. A. Set pagination yes or no for the show on blog filter. B. You can change pagination color. C. Set posts limit for blog filter(it will also work without pagination). 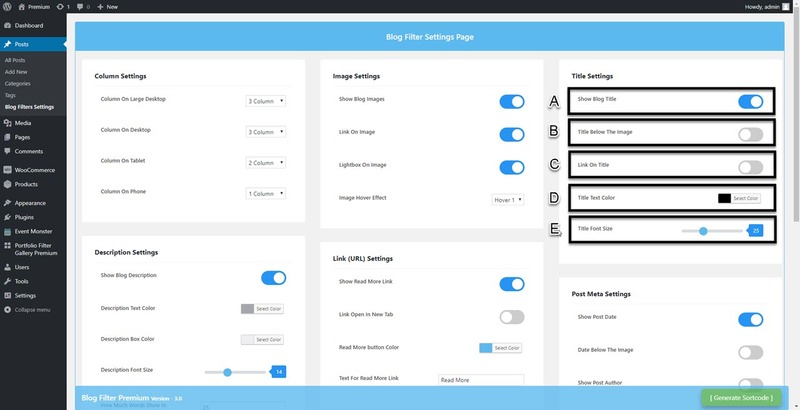 Set Filter Settings to display in your Blog Filter gallery / Postfolio (Portfolio of Post). A. Set Show filter yes or no for blog filters. B. You can set first filter select(if you will not set the first filter selected the blog filter will show all post without any active filter). C. set any color for buttons. D. Select categories/filters for the show in blog filter(if you will not select any filter then it will show all filters). You dont have to generate shortcode, again and again, you can edit existing shortcode directly on the page. You can see that there is every key have a value for every setting, we are showing you that how to edit shortcode without regenerate it. 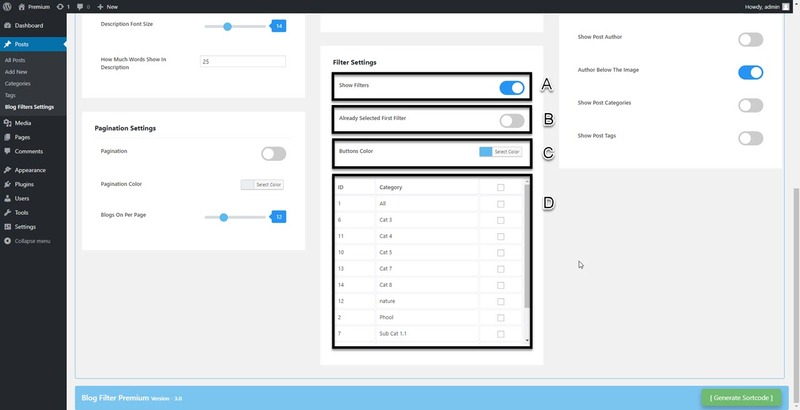 You can select 2 template design for this setting. 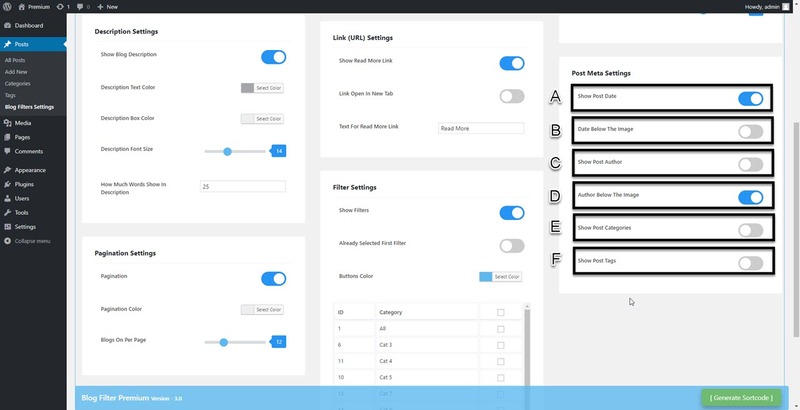 You can change column for large desktops. You can change column for desktops. You can change column for tablet devices. You can change column for phones. You can set yes or no for show or hide blog image. You can set yes or no for add or remove blog link on blog image. You can set yes or no for add or remove lightbox on blog image. You can select 5 types of haver effects for the blog image. You can set yes or no for show or hide blog title. You can select yes or no for show title below the image or Show title upper the image. You can select yes or no for add or remove blog link on blog Title. 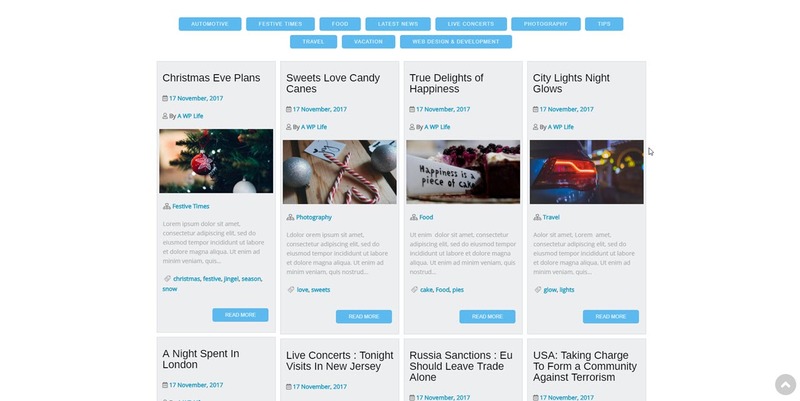 You can change the blog Title text color. You can change the blog Title text size. You can set yes or no for show or hide blog description. You can change the blog description text color. You can change the blog description box color. You can change the blog description text size. You can change the blog description words limit size if you had set read more or excerpt then you cant get more words in blog description. You can set yes or no for show or hide Read More Link. You can set value for redirect link in the new tab or in the same tab. You change the text of “read more”. You can set yes or no for show or hide the post date. You can set yes or no for the show the post date below the image ore upper the image. You can set yes or no for show or hide the post author. You can set yes or no for show or hide the post categories. You can set yes or no for show or hide the post tags. You can set yes or no for show or hide Pagination. You can change the blog Pagination color. 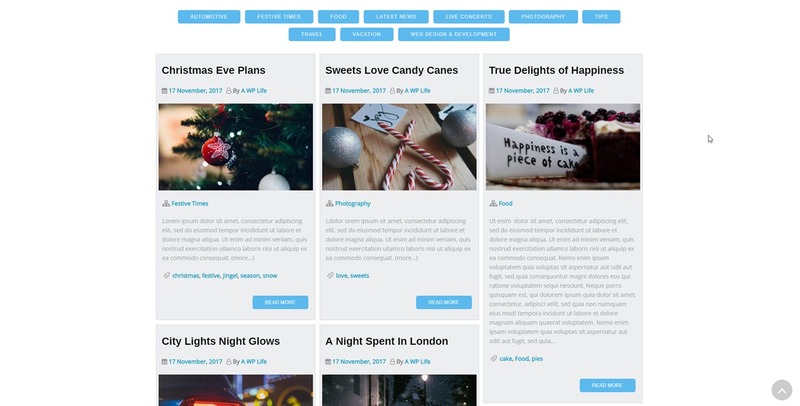 You can change the blog limit for per page if you wanna show all blogs on the single page then set zero (0) in the value and set ‘no’ in pagination. You can set yes or no for show or hide filters. You can set yes or no for the show already selected the first filter. You can change the blog button color. You can change the post id directly from the shortcode. 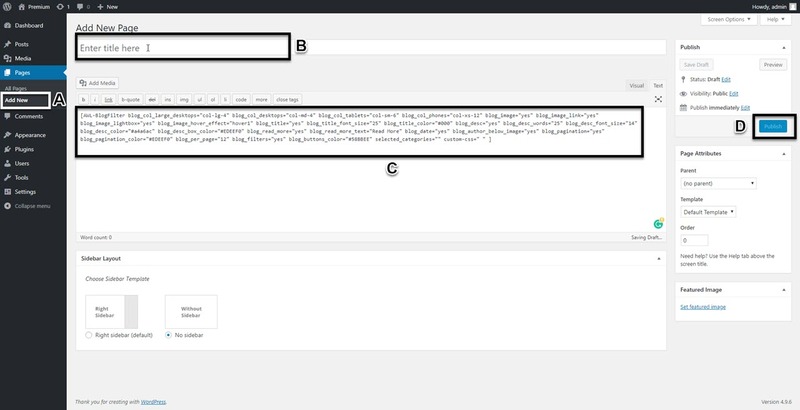 After set configuration of blog filter please generate the shortcode from the Blog Filter Settings page.